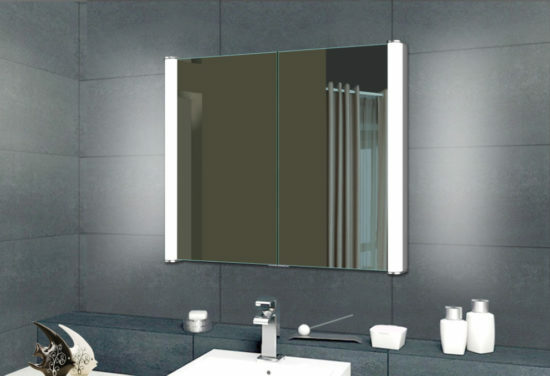 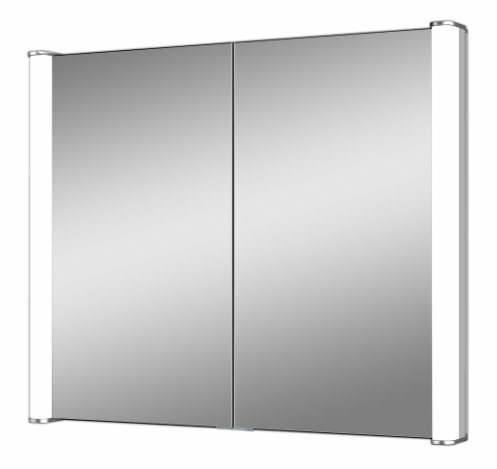 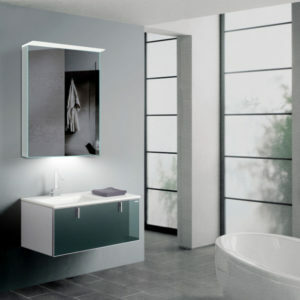 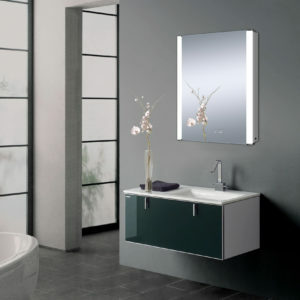 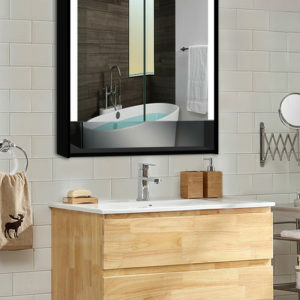 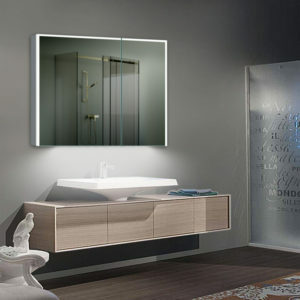 A recessed cabinet design with LED lighting on both sides makes the Savanah a must have in your bathroom. 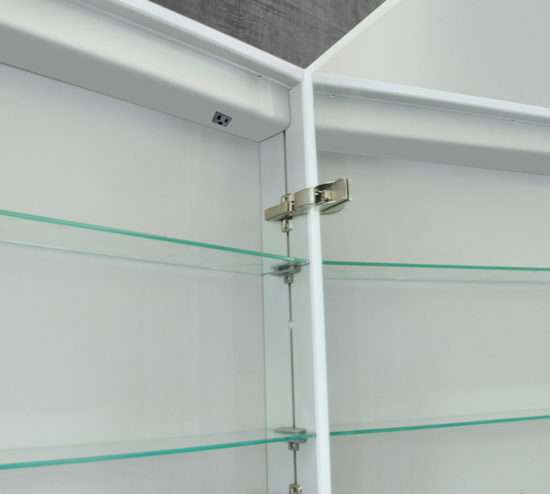 The IR sensor switch for ease of operation combined with a storage cabinet, electrical outlet and two glass shelves makes it a full-featured contemporary design. 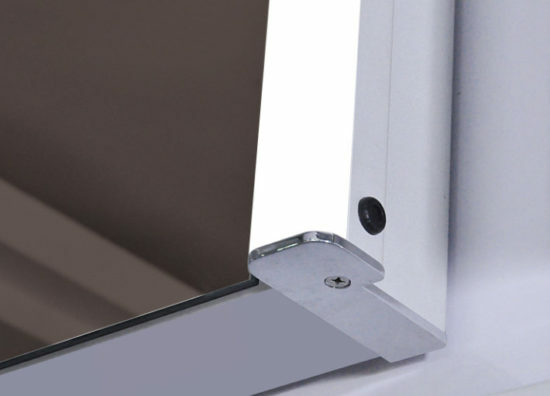 Aluminum frame with MDF back panel.